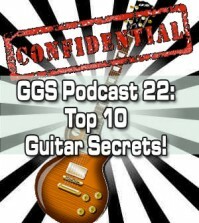 http://www.guitargodsecrets.com – In this new PODCAST episode, we’ll run through one of my favorite exercises. 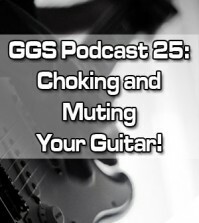 It’s a hammer-on/pull-off sequence based on a legato technique that’ll make your playing smooth and precise. 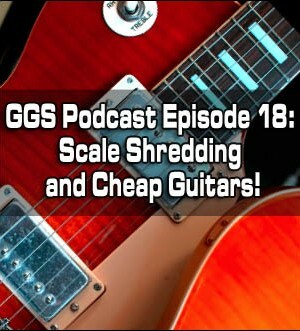 But it’s not your average scale exercise though – we’ll go in a radically different direction to help you break out of the scales, improvise like a Guitar God and best of all, NOT sound like you’re working scales! You’ll be able to pick notes from scales AND play anywhere to get that melodic flexibility that’ll blow away your friends! To do that, I’ll teach you a practice technique known as CHUNKING which basically breaks down an exercise into small “chunks” so you don’t feel overwhelmed or get in over your head. 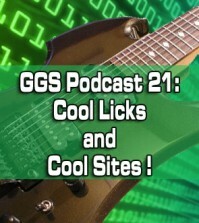 PLUS, we’ll cover the benefits of getting CHEAP guitars. We all want to play like rock stars, but most of us can’t spend like one. 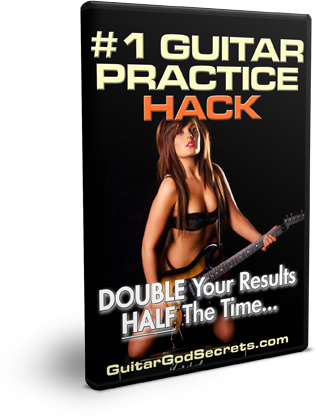 I’ll reveal my checkered past involving questionable, knock-off guitars and how it helped me become a better guitar player. 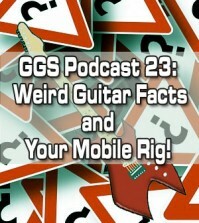 You should have a few of those guitars in your life too, and I’ll explain exactly why in my podcast!